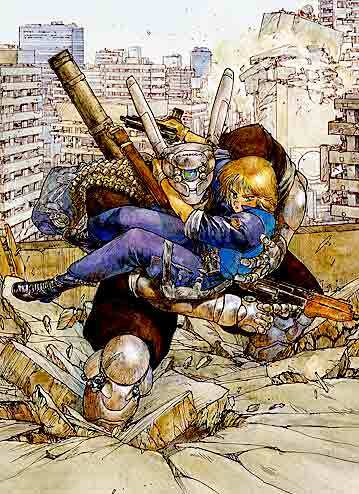 Being the Sad anime junkie that I am, and also a massive fan of Masamune Shirow's comics. 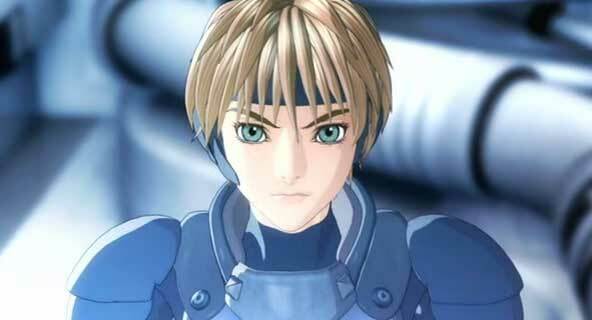 I've been consistently dismayed by proceedings with the new Appleseed movie. Essentially, it's out on DVD already in Japan, but because it's likely to get a US cinema release sometime soon, there's no English subs. Since I'm in the UK, the chances of seeing at the cinema are fairly slim (although I'm not so sure, things are progressing lately: 'Spirited Away', 'House of Flying Daggers' and 'A Very Long Engagement' have been shown at my local UGC multiplex and not just the 'arthus' cinema. So there's always a chance!). All this means is there probably won't be a DVD release with English subtitles for a very long time. So, not to be deterred, I purchased the Japanese release from amazon Japan. I'd done this once before with Spriggan. Basically I got the Japanese release, downloaded the script and followed it on paper as I watched the film. That was a bit of a rubbish experience, but these days you can often find fan-made subtitle files and watch the DVD on a pc with the appropriate subtitle files overlaid. It's all much nicer if you can be bothered going to the effort. The original comic is available from any online book shop translated into 4 graphic novels. So what's it about? Very briefly (I'm being lazy, and this is really a review for Appleseed fans anyway ) It is the closing days of World War 3 and a utopian society is being built in a new city called 'Olympus'. The society is half bioroid - humans engineered and selected for their passive, unemotive qualities. The mix of bioroid and human is closely monitored by a giant computer called Gaia - the right mix is essential to prevent the society destroying itself like all others have. Not everyone thinks bioroids should exist, and some want to take action against them. The story follows Deunan Knute - a guerilla fighter taken from the warzone to work in 'Eswat' - Olympus' fast response combat squad. There she is reunited with Briareos - her friend (and, it's always implied, lover) who was nearly killed in the warzone, and now has a cyborg body. Anyway, on to the film. 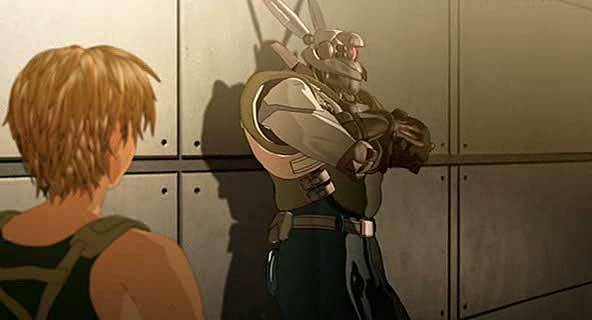 Appleseed uses fully 3D cel shaded character models (actually the same technique Starscape characters utilise) set against rendered backdrops. I can't think of any anime that has used this technique for characters (many have used it for space ships/vehicles etc). The results are on the whole positive, although I felt Briareos' look didn't quite fit - he appears to be partly rendered (i.e. non-celshaded) and doesn't seem to gel with the others, and some of the character's hair is a little stiff. From an art direction point of view - I thought it would have been nicer if all the mecha, robots and characters were cel shaded and the backgrounds were rendered. the semi rendered, semi cel shaded look of Briareos and the landmates (armoured walking vehicles) didn't quite do it for me (but it was pretty close). Briareos - It must be tough to get across any emotion unlike in the comic. Most of the character animation is really fluid (I'm guessing it is all motion captured in fact). The film was made using proprietary software called the 'trinity' engine which supposedly allows animators to work with incredible ease and speed (although I'm a bit short on the actual details of what it does). There are occasional scenes where character faces suffer from 'Spirits within stiffness'; leaving the scene a little emotionally flat and some of the vehicle animation seems to be a bit off. Luckily though, most scenes just look fantastic - especially some of the wider shots of olympus. The plot pretty much skips over any important information, and only just about makes sense to anyone who hasn't read the comics (It's been a while since I read it, and I had forgotten some things! 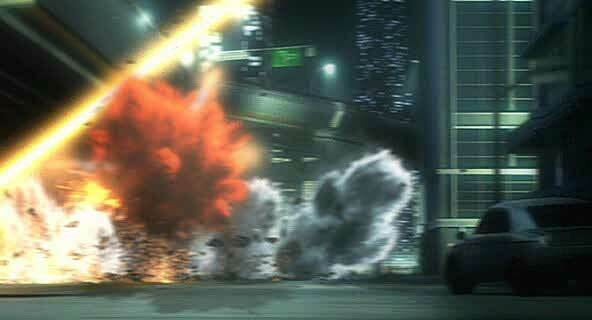 ), but hey - this is anime so who cares as long as it does its job setting up the action sequences right? 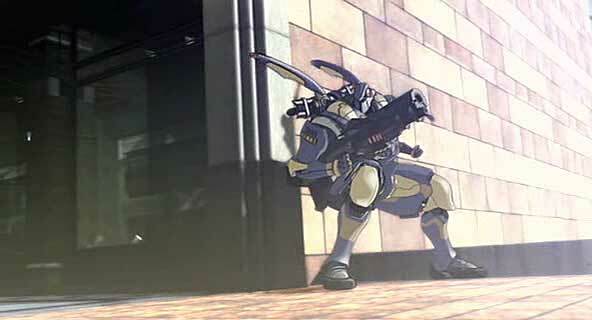 That where appleseed delivers - where else can you see people in robot suits kicking the *** of giant spider leg robots? 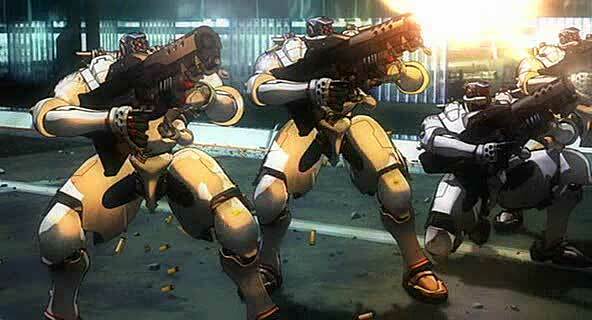 For that I'd forgive any failings, and Appleseed doesn't have too many problems. 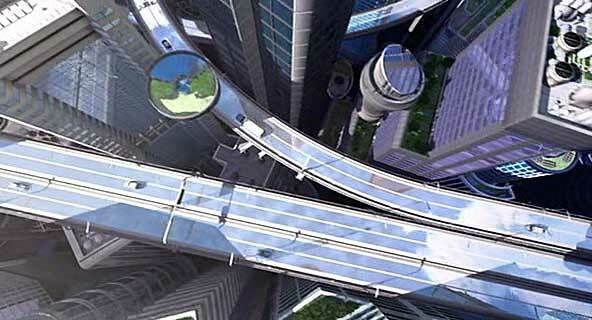 Above: Some of the scenes could be lifted directly from the manga. where you find out what the 'bunny ears' on landmates are for. It is faithfully recreated in the movie. There's also interesting quicktime vr shots of some of the scenes from the movie at the japanese site. I think I'm just so much a fan of the comic, that I was happy to see anything from it in animation. It's not something I've bothered to watch since though. It just failed to engage. Looks pretty at times times though.